MicroCap executive compensation is a topic that has been brushed under the rug for quite a while. I’m not an executive compensation expert, but I have invested in over a hundred microcap companies over the years. As a full time microcap investor, there have been plenty of instances where I have completely passed on making an investment primarily due to executive compensation amounts and/or structures. In its truest form investors want to know: Is this management team in it for the salary or in it for shareholders? In this article I will give my subjective viewpoint on this topic, and I hope it will spur conversation amongst investors and corporate officers. Executive compensation is made up of Cash Salary + Stock Option/Restricted Stock awards + other perks. Lets focus on the cash salary first. The main reason cash salary levels are so important to microcap investors is that over 90% of microcap companies are unprofitable. Salaries can greatly influence the health, longevity, and eventual success or failure of a microcap company. For example is a small microcap company is losing money, and the CEO is raking in $500,000 …what message does that send me? Not the right one, and I will pass on making an investment or buying the stock. I stopped at $10 million in EBITDA because quite frankly I don’t take initial positions in companies that are larger than that. Also, the figures above are for microcap companies only as there are obviously plenty of billion dollar market cap companies that are unprofitable. In some rare instances I’m willing to accept a higher cash salary such as when the CEO is a serial success story. One of our members on MicroCapClub calls these CEO’s “repeat offenders” in a good way, an executive that has built up and sold several companies to the benefit of shareholders. Examples of this would be Shimon Alon of Attunity (ATTU), Mark Libratore of Liberator Medical Holdings (LBMH), Manuel Villafa of Kips Bay Medical (KIPS) but these individuals are few and far between in the microcap space. Even in these circumstances I’m ok with the CEO getting a little bit more but not a lot more. A successful CEO like this should be smart enough to take most of his compensation weighted in stock in the first place. I’ve also given leniency to corporate officers with higher than acceptable salaries that are consistent buyers of stock in the open market. But even in this situation, why not have a lower salary, let the company keep the cash and do a buy back and decrease the outstanding shares. Outside of these outlier circumstances I find management teams that draw large cash salaries above and beyond the norm aren’t aligned with shareholder interests. Smart investors know this too, and they will completely pass on buying a stock if the salaries are too high. I could give you a bunch of real examples of companies that trade today that I passed on because of bloated management salaries, but the point of this article isn’t to be a bash session. Bloated cash salaries are a disease that affects many microcaps. The great thing is over 2/3 of publicly traded companies are microcaps, so you can cross them off the list and move onto the next one. I will give you an example of a company that I invested in in spite of high management salaries. I’m an investor in Noble Roman’s (NROM), a company I wrote about a while ago [HERE]. Over a year ago I was conducting my due diligence, and the biggest red flag I could find was the aggressive salaries of the CEO (father) and COO (son) pulling in a combined $700,000+ on a company that did 2.5 million in EBITDA in FY 2011. After some digging I found that a few years earlier they actually reduced their salaries. YES they actually reduced their salaries from even higher ones, but at least it was a step in the right direction. I flew out to visit the company and met with the management team, and I got a comfort level with them and their motivations. I ended up investing in the company in spite of the high salaries mainly because the CEO owned 15% of the company, and he made it known they weren’t planning on increasing salaries anytime soon. I tell you this real life example to better illustrate the complexity of situations, but I would like to make note that even though I made an investment the high salaries did impact my position size. Corporate officers are incentivized with stock options and sometimes restricted stock grants. The use of stock options and restricted stock can be very productive for microcap companies in recruiting top talent where they cannot afford to pay the normal going rate in all cash. Certain industries like Biotech and Pharma use these means of compensation more so than others. In 2011, the average microcap biotech/pharma executive compensation consisted of 50% cash and 50% stock options (source). Companies will often say that the stock options better align the corporate officers with the shareholders, but they can be very dilutive to microcaps. If a company has a $10 million market cap and total salaries are $2 million per year, and half of that compensation is issued in stock options, it illustrates my point. These options and stock grants can be quite destructive to a company’s capitalization table. Just like a large cash salary, a huge stock incentive plan can also turn away professional investors if it’s not structured correctly. I’ve seen companies that issue options that dilute 10%+ of the company per year, which is ridiculous. Restrictive stock grants are even worse because the company is just giving stock away. I believe that most corporate officers need to reward employees and management but not to the detriment of shareholders. As an investor be careful and really dive into the executive compensation structures of microcap companies. 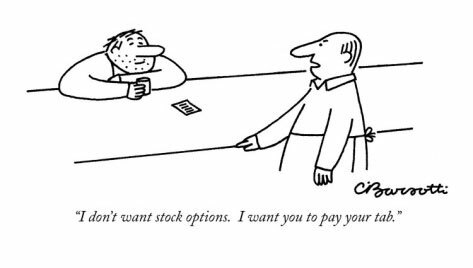 Stock options should be granted in reasonable amounts and should be based on performance metrics that enable stock appreciation. In a perfect world, I believe every microcap executive officer would have a modest base salary and be highly incentivized with bonus awards for hitting predetermined business milestones, financial milestones, and stock milestones. Business Milestones: Predetermined events the board and management feel are important for the year ahead. Ex: Product XYZ rolled out by August, Two licensing deals accomplished by year-end, etc. Financial Milestones: Auxilio (AUXO) is a good example of a management team incentivized by financial milestones. In their case they receive option bonuses if the company achieves $2 million in EBITDA in 2013, $6.3 million in 2014, and $9.2 million in 2015. Stock Milestones: This one might be a bit controversial, but I believe it is a public company management team’s fiduciary duty to “be public” and let investors know they exist. I would love to see bonus awards granted for stock price and volume milestones. I certainly don’t want management teams doing unscrupulous things like [THIS], but I believe it does make sense to tie some level of management compensation directly to stock performance. The goal would be to encourage microcap CEO’s in particular to get out and tell their stories. Executive compensation is one of the first things I look at as a full time microcap investor because it quickly tells me how the management team is motivated. I hope this article has given a general overview on how evaluating executive compensation is important to microcap investing. I believe this topic has been brushed under the rug for years. I’ve tried to give a general outline about how one full time microcap investor, myself, looks at executive compensation. My hope is that at the very least this will start a dialogue amongst investors and amongst corporate officers. I welcome any comments. This is a solid article, although I’d quibble with the idea that the “upside incentive” for management should be in the form of cash bonuses rather than stock options/awards. My reasoning is that the financial metrics necessary to get the bonus can be manipulated to the long-term detriment of the company, so we may as well let the stock price be the ultimate arbiter. Thanks Mark. Yeah it’s hard to come up with the perfect formula. The easiest thing that most of us would agree on is the ridiculous cash salaries some of these management teams get. This is a great article. I too look at executive compensation as a part of my research. It is rare that I don’t invest in a company entirely because of executive compensation but I do factor executive compensation into my decision making process. I look at executive compensation as one of many factors that impact the bottom line. But executive compensation also speaks to management ethics and how they are aligned with all shareholders. So once I see high executive compensation, I’m likely to look deeper in some specific areas. One area I look at if executive compensation is high is insider ownership. If insiders own a large share of the company, then a higher salary isn’t as controversial. When they own stock they are choosing between paying themselves in capital gains vs. salary. If a CEO owns 60% of the stock and has a high salary, then only 40% of the high salary is coming from other shareholders. However, if a CEO only owns 1% of the shares and has a high salary, then that high salary is mainly coming out of regular shareholders pockets and is a clearer signal that management isn’t aligned with shareholders. Another area I look at is related party transactions and transactions in general. If I see a number of transactions where the executives seem to be overly generous to themselves, then the changes of them making future transactions that are detrimental to shareholders increases. If I see a pattern of bad behavior, I will not invest. Another factor that I look at is the background of the executive. There was a company I invested in a few years back that had very high executive compensation. The company was ASRG. They were a medical staffing company for surgeons. The executives were doctors and were on call for many hours of the day as they had to find the right surgeon whenever one was needed. That could mean making phone calls in the middle of the night. In this case you had to look at what management’s skills were actually worth if they weren’t an executive of the company. When I looked at things in that light, the compensation wasn’t out of line. Many people passed on ASRG because of executive compensation. However, in the end, the company started paying dividends and was bought out for a nice premium. So, sometimes, executive compensation isn’t what it seems if you just focus on the numbers. Thanks Mike. Yeah I was going to make this article about executive compensation, insider holdings, and insider buying as they all sort of melt together, but it was just getting too long. As you point out as well, certain industries demand higher salaries. “In a perfect world, I believe every microcap executive officer would have a modest base salary and be highly incentivized with bonus awards for hitting predetermined business milestones, financial milestones, and stock milestones.” This really hinges on having a very astute board of directors that knows how to set milestones that set the company up for long-term vs. short-term success. Such Board are a rarity in my opinion. I’d rather lure the best CEO available at a higher salary with home-run bonus/option incentives and let him do his thing. If you get the right guy, he may set off our annoyance meters in the first year or two but if the stock ultimately performs, investors who make good sized bets might end up making more than the CEO. Agreed, the correct board makeup is crucial in setting the right milestones. As you know most microcaps don’t have that great of depth on the board. I’m all for paying a “serial performer” more, but that individual should also be aware of how too high of comp does affect the current and future shareholders. Let him/her get the pay out on performance milestones. Compensation should equal the number of shares owned and purchased + profitability of the company. With biotechs, it is a lot trickier. Great article Ian. While compensation is something I look at closely as well, I’ll second what MikeDD said. Insider ownership is equal if not more important to me and can shed some light on the salary comp in terms of context. Excellent article Ian! Yes, this is definitely a part of the microcap DD process. The example of NROM is a classic. Father and son earning $750k between the two. If they cut that number in half the company would be earning an additional 2c in earnings each year. NROM is the one that stands out to me too. It’s crazy to think they’re taking $.02 in salary. This is a great topic, and one that all microcap club members should be aware of. While we are probably unconsciously aware of overgenerous exec compensation, we probably just quietly reject the candidate and pass on the next stock candidate. I think we have an opportunity to change the landscape a little bit, rather than just preaching to the choir. I think whenever we come across a company that has all the characteristics we are looking for except the problem of over compensated mgt, we should call the CEO and say, “I’m a professional small cap investor and was interested in investing in your company.” You definitely will have his attention. Then you say, “But I find that mgt is getting way too much compensation for the current state of the company and its revenues and earnings.” I don’t know how the conversation will proceed after that but you will have done your job in letting mgt know that he is holding back interest in the company and its stock. We may not be able to change human nature, but we will at least let those bozos know that someone is watching and he can’t exploit his avarice without some effect. Contrariwise, when we find exec compensation in line with the modest achievements of mgt we should let them know we appreciate their modesty and good sense. Ian, I don’t want to be a nag, but this is a topic that has not been well addressed in this age of superstars. Some of these execs think they are greater than their achievements, and get away with ballooning their pay because the shareholders are too ignorant, passive or naive to do anything about it. Thanks for broaching this difficult subject. Thanks John. The right CEO’s get it, when you have to tell them shows they already don’t. It’s sorta like telling a CEO he should buy stock in the open market. Defeats the purpose as it “should” be common sense and human nature to them. Ian, great article. Has anyone thought about the difference in compensation expectations between founder CEOs and outside CEOs brought in by the board? It seems like founder CEOs probably own more stock and have more say with the board (ie, they “work for the board”, but the board really works for them), where hired CEOs probably have more oversight. Good point Jeff. Through my experience you either have founding CEO’s who own a nice chunk of the company, or the CEO that has replaced the founding CEO who doesn’t own very much. I guess it all comes back to execution. Investors don’t mind someone getting paid more if they execute, which is why I like having the incentives built in to the package (not just a giant salary). One quick thing I look at in assessing management is a long-term stock chart. If the same management has been there for years and the stock chart is flat or worse than I look no further regardless of salaries. I can look past high salaries if the stock chart is good especially if they own significant shares. Ian, you picked a very interesting topic. I’m curious what results a scientific study would show on the correlation of microcap CEO compensation and stock price performance. I wonder if something might have already been published, maybe even in the financial analyst journal. I know there are some studies on similar topics with surprising results. For example, I saw a study that showed a positive correlation between high quality Corporate Governance and value creation for shareholders. Thanks for the interesting post. Unless you’re an activist (or piggybacking on an activist), it’s best to be partners with people who have a track record of treating shareholders fairly–especially for microcaps, where the threat of litigation is a lot less. Great article and great comments as well. At the end of the day, the question I have to ask is, “Are you working with me, or for me?”. A management team that owns a large portion of shares is working with me, while a management team that doesn’t is working for me. As smaller companies, microcaps can have a ton of upside and I want management that believes in that upside. If a CEO is drawing a large salary but does not own much stock then that tells me that in his mind he is better off investing his salary elsewhere. That doesn’t give me much confidence in the stock. Not only do I look at ownership % of the stock from management, but how much has this ownership % increased in the past year? Lastly, I like to go to Morningstar and look at the “Executive Compensation” under the “Insider” tab when you punch in a symbol to get a quote. This allows you to compare executive compensation to stock price, break down each executive’s compensation (by salary, options, bonus, etc) and lets you see executive compensation over the years. Microcaps can have a bumpy road to sustained profitability. Did the executive team tighten their belts when things got tough in the past? Buffet said he looks for management that is smart, energetic and of high character. However, character is most important because if the management has the first two qualities without being high character then watch out! I’ve done well investing in management teams that in the past fell flat on their face but figured a way out of it without completely blowing up the share structure of the company. Good insight on using Morningstar. Many good points in the article and all our a issue for me as I evaluate a stock. One other point is the cancellation and repricing of stock options after a stock falls. I have never invested in a stock that has fallen substantially and been rewarded for it. Integrated Asset Management, IAM Toronto Canada, is another asset manager where I believe management is paying itself too much. In two of the last five years, the company had sales of 17 million while the selling, administrative, and general expense exceeded sales. They are an asset manager. They are a bunch of people working in an office with computers. Why is their S G and A expense greater than their sales. I hope an activist also forces compensation changes at Integrated Asset Management. When I bought shares in IAM they had a negative enterprise value, as did Argo Group Limited. Thanks for mentioning the ebitda to compensation table. I have never seen that done before. I’ve always felt the comp should be based off profitability thresholds, so I sort of just made it up. For people to be fully committed, they should be properly compensated. Whenever an entrepreneur asks me to invest in his company, I ask him how much he intends to pay himself. A company does better the less it pays the CEO – that’s one of the single clearest patterns I’ve notices from investing in hundreds of startups. In no case should a CEO of an early stage, venture backed startup receive more than $150,000 per year in salary. It doesn’t matter if he got used to making much more than that at Google or if he has a large mortgage and hefty private school tuition bills. 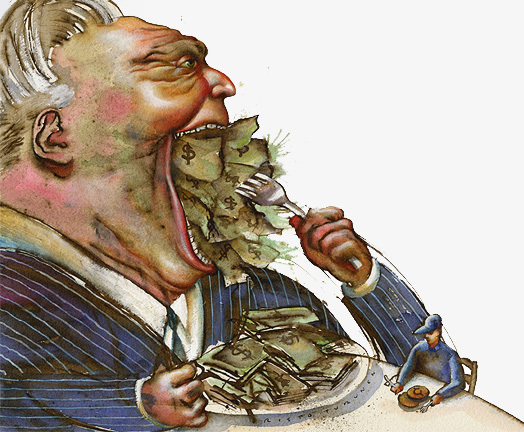 If a CEO collects $300,000 per year, he risks becoming more like a politician than a founder. High pay incentivizes him to defend the status quo along with his salary, not to work with everyone else to surface problems and fix them aggressively. A cash-poor executive, by contrast, will focus on increasing the value of the company as a whole. Low CEO pay also sets the standard for everyone else. Aaron Levie, the CEO of Box, was always careful to pay himself less than everyone else in the company – four years after he started Box, he was still living two blocks away from HQ in a one-bedroom apartment with no furniture except a mattress. Every employee noticed his obvious commitment to the company’s mission and emulated it. If a CEO doesn’t set an example of taking the lowest salary in the company, he can do the same thing by drawing the highest salary. So long as that figure is still modest, it sets an effective ceiling on cash compensation. Cash is attractive. It offers pure optionality: once you get your paycheck, you can do anything you want with it. However, high cash compensation teaches workers to claim value from the company as it already exists instead of investing their time to create new value in the future. A cash bonus is slightly better than a cash salary – at least it’s contingent on a job well done. But even so-called incentive pay encourages short-term thinking and value grabbing. Any kind of cash is more about the present than the future. I agree with your thoughts and I’ve always had a similar overall theory/belief about management salaries. As someone that has been on the firing line a few times, it is just as important, and maybe more important, to understand the actual management employment contracts. As we know and look for, there can be opportunity in the small company space, especially in picking survivors in an industry that has been in a long downtrend. Picking the bottom is tough and knowing what happens amongst the management team at or near the bottom is important. The challenges facing small companies are constant – and in some industries, when the cycle goes against the company, there is a distinct possibility that the “team” will need to look for work elsewhere or flee altogether – or hopefully be able to band together and turn it around. So the challenge is how do you keep your team intact and motivated along with balancing their personal needs (but that is a different discussion entirely). Since there can be opportunity (all things being equal) in building a company or portfolio during dips in the cycle, understanding how the employment agreements are structured can be more important than the actual salary. For instance, as the company really starts to struggle, as a CEO or founder or Chairman of the Board – or whoever is ultimately going to be responsible for “saving” the company or initiating a plan – you don’t want to be faced with a team of executives that start waving their employment contracts in your face, or their severance packages, or looking to see what they get personally should the company fail and assets get sold…. instead of looking to do what is necessary to save the company and shareholders. In my opinion, management contracts along with how/if they are accruing back wages are important items to ask about. I like to know if Plan B for the company fits Plan B for the executives.